Tennessee Chiropractic Association | What Is the Recommended Treatment for Whiplash? What Is the Recommended Treatment for Whiplash? In the past, the common thought has been to rest, use ice packs and anti-inflammatory medications to deal with any neck pain after an accident; then if the symptoms continue beyond 2 weeks, seek medical treatment. Unfortunately, this course of action may actually work against patients suffering from these whiplash-related injuries, also referred to as cervical acceleration/deceleration syndrome. There is data which has shown that reasonable therapeutic treatment in the initial two weeks may actually REDUCE long term symptoms. Leading expert, Arthur C. Croft, PhD, DC, MSc, MPH, FACO, FACFE, published a widely-recognized set of Guidelines for Diagnosis and Treatment of Whiplash Injuries. These guidelines, which are based on an in-depth analysis of almost 2000 actual cases, were part of a Spine Research Institute of San Diego (SRISD) project that began in 1990. The final version was published in 1993 in the American Chiropractic Association Journal and included a whiplash grading system. These guidelines have also been published in Whiplash Injuries: the Cervical Acceleration/Deceleration Syndrome (second edition in 1995 and third edition in 2002). Two years after the publication of the Croft Guidelines, the Quebec Task Force on Whiplash Associated Disorders (QTF-WAD) published a grading system that was almost identical to the Croft Guidelines. The Quebec report became known as the QTF system and has been widely adopted as a standard internationally. In addition to outlining parameters for grading the severity of whiplash, the Croft Guidelines also include a recommendation for the duration of care for each level, that is specific to chiropractic. These Guidelines for Frequency and Duration of Care in Cervical Acceleration/Deceleration Trauma begin with daily care for the initial week (2-3 weeks for more severe cases), then decreases to 3x/week, 2x/week, 1x/week, 1x/month. It has been noted by the author that the terminal points for treatment and duration are for the more complicated cases. As such, the guidelines are not meant to be “recommendations” or “allowances”. The length of time needed at each stage is extended or shortened based on the severity of the case and the specifics of each patient, and care rendered to a whiplash patient should always be justified by proper documentation and the use of appropriate evaluation and treatment methods. Treatment in this phase can have the biggest impact on reducing inflammation, which can help reduce pain and shorten overall healing. At the start of care, patients will need to receive a considerable amount of information regarding home care, modifications to regular tasks, and other items including any limitations and/or restrictions to their activities. This also gives the doctor ample time to communicate this vital information, as well as for the patient to ask questions, try out alternatives and report back. Daily contact allows the doctor to better monitor the progression of the injury and the patient’s compliance with home care. If the patient doesn’t respond as expected, it’s better to know sooner, rather than later so modifications can be made as needed. While brain tissue cannot regenerate, it can be altered. Studies show that pain can alter the neural pathways even in a short time. Therefore, the faster the patient can have their pain minimized, the less chance there is for the brain to be negatively affected. Because a patient is receiving care daily does not mean they are “out of commission” for that time. In fact, SRISD research shows that generally patients who seek chiropractic care missed a mere two days of work/regular activities or less, and many had NO time lost. Doctors of chiropractic are well-trained and provide diagnostic services and treatments which benefits these patients in pain. The Medical Disability Adviser: Workplace Guidelines for Disability Duration, 4th edition by Presley Reed, MD includes information pertaining to a host of causes of disability, such as whiplash-related injuries. Under the neck pain section, they outline the following may be a part of diagnostic procedures: radiographs, MRI, CT, EMG, nerve conduction and laboratory studies. Most chiropractors have X-ray capabilities in their office, so they can perform diagnostic procedures during the patient’s visit. If needed, they can order imaging and laboratory tests or refer to another healthcare provider for additional diagnostic studies. For treatment, the Medical Disability Adviser guidelines list pain medication, cervical collar, manipulation and pain clinic services. Chiropractic is listed among the specialists that may render care and it is noted that chiropractic “may be particularly effective in the initial 4-6 weeks.” Additionally, it lists heat and cold modalities, electrostimulation, home traction and isometric strength conditioning as examples of rehabilitative treatments. Proper treatment in the immediate future after an injury decreases the chance of the injury causing permanent damage. Even if it has been a while since the accident occurred, if an individual is experiencing pain, they are not doomed to hurting forever. One study published in Spine, which looked specifically at late cases of whiplash (as opposed to an acute case), found chiropractic to provide improvement in 93% of the study participants. The randomized trial compared chiropractic care, acupuncture and medication, and included individuals with chronic spinal pain (neck and/or back). After 9 weeks of treatment, the data showed chiropractic was overwhelmingly more effective. While the chiropractic cases had the longest length of chronicity prior to the study (average 8.3 years), 27% reported they were symptom free after the 9-week study. By contrast, the acupuncture case (6.4 years chronicity) 9.4% reported being symptom free and medical cases (4.5 years chronicity) reported only 5% symptom free. During the trial, patients were allowed to switch provider types if they felt they were not getting any better. While 9 left the medical group, only 5 left acupuncture and only 2 left the chiropractic group. Whiplash injuries are common results of motor vehicle accidents. As our population increases, naturally so does the volume of traffic and that results in higher and higher accident rates. Other traumas can also result in this type of injury. 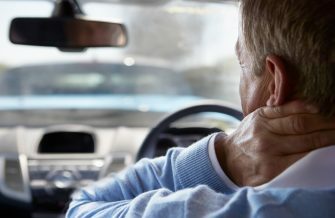 Health care providers caring for those with whiplash-related conditions in their initial weeks of injury may have an important role in reducing long-term pain symptoms. Dr. Croft estimates the number of chronic pain patients may be increasing by as many as 1 million people per year just in neck pain diagnosis. Further, he estimates that up to 300,000 of those become disabled due to the pain. In some cases, the injury is severe enough that the individual will require some level of ongoing care for an extended time. However, with proper initial treatment, this can be reduced. Reducing the chronicity of the pain also helps reduce the number of people who become disabled. Of course, no individual can be evaluated by statistical data or what is “normal”. Through research and technology advances, the health care field is constantly improving diagnostic procedures, therapeutic treatments and revising recommendations to reflect the additional knowledge. These new developments in the field, may give the provider additional avenues to assist the patient in healing and maintaining regular activities. If you or a loved one have experienced a whiplash type injury, regardless of the cause, seek care sooner for long-term benefits. The first few weeks after the injury can make a significant impact on the individual’s recovery. The longer you wait, the higher your risk for developing chronic pain. Depending on your situation, your recovery may be very speedy with no residual symptoms, or you may require more extended care. Your doctor of chiropractic can help give you the best chance for complete recovery, and can refer to other health care providers as needed, to further aid your recovery. If you don’t already have a doctor of chiropractic, you can find a TCA member doctor near you here. Spine Research Institute of San Diego (SRISD) website http://www.srisd.com/consumer_site/ Much of the material on that site is taken from the textbook, Whiplash & Mild Traumatic Brain Injuries by Dr. A.C. Croft and published by SRISD Press in 2009.